What to feed your new pet? In the wild, land hermit crabs eat a wide variety of foods: fallen fruit, decaying wood, leaf litter, plants and grasses, and items washed ashore by the tide. They are not fussy eaters by nature and have even been observed eating poop! Hermit crabs locate food in two ways, by smelling it and by seeing other crabs eating. 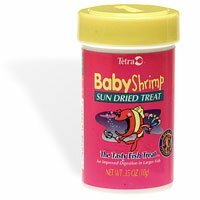 One way you can test this is to set a dish of one of the smellier 'treat' options listed below into their crabitat. Watch as they come out, wiggle their antennae, and make a beeline for the treat dish. It is fascinating behavior to watch. What do they need to eat to be healthy? We are not exactly sure of hermit crabs' exact nutritional requirements, but much progress is being made. For example, we now know that hermit crabs require calcium, carotene and antioxidants just like people do. A crab whose diet is carotene-deficient will fade in color after molting, from a nice reddish or orange color to a washed-out tan or gray. To make sure your crabs get adequate carotene, supplement their diet with brightly-colored vegetables, like corn and carrots. Also you can add ground dried organic marigold petals to your crabs' food. You should be absolutely certain that the marigolds were grown without pesticides before adding them to crab food. For example, the small plastic containers of marigolds that you fine at the local greenhouse are probably treated with pesticides and therefore unsuitable for crab food. The best diet for a land hermit crab is what you would eat if you had to eat only what your parents and doctor told you to eat. That is, fresh fruits, vegetables, meat, fish, nuts, seeds, etc. Natural, healthy foods with zero processing involved. Land hermit crabs are omnivorous and therefore eat just about anything. Crabs also like tannin-rich foods, such as oak leaves and tree bark. Before giving your crabs these things as food, make sure they are thoroughly cleaned by rinsing with water (no soap) and allowed to dry -- crabs like their leaves crunchy. The current wisdom is that commercial crab food is not necessary if you provide your hermit crab with a varied diet of "human grade" food. You can do almost all of your hermit crab food shopping in a regular grocery store. Specialty items you buy from a pet store should be free of unfamiliar ingredients (except for tocopherols, which are natural preservatives). Be sure to examine all labels very carefully and do not purchase any products that contain ethoxyquin or copper sulfate. In the past couple years, a number of hermit crab food specialty sites have sprung up online. They offer a wide assortment of organic staple food, treats and supplements. Check out the Links page for some great sites featuring a wide variety of hermit crab food. There has been a lot of interest by hermit crab and their owners in Organic Worm Castings and with good reason. The worm castings are chock-full of nutrients and are also very well-liked by hermit crabs. Here is a good recipe for regular crab food which satisfies the crabs' taste preference and need for calcium to build a strong exoskeleton. 1 tsp. sea salt. NO table salt! Break up the cuttlebones with your hands into nickel-or-dime-size chunks. Using an electric coffee grinder, powder them. Sometimes they get stuck in the blades -- if so, stop grinding and poke them out of the blades and continue grinding. Take all remaining ingredients except the salt and grind them into a sort of lumpy powder fine powder. The krill won't completely grind so just get it to where you can stand it. Add in the salt and any other things you think your crabs will enjoy, such as whole grain cereals, wheat germ, ground nuts, seeds, etc. Mine especially like a dose of ground flax seed now and then. Since this is VERY high in calcium (two whole large cuttlebones are a double-whammy), it is an excellent food for your crabs who are exhibiting molting signs or those who have recently molted. It does not have much carotene though so please add in a source of it, like carrot flakes or some raw carrot. Fruit, especially tropical fruits such as the crabs would find in their native habitat: mangoes, coconuts and papayas. Meat. It doesn't matter what condition it is in, just make sure there is no sauce or butter on the meat that could cause them problems. In particular, hermit crabs like to pick meat off of bones. They also enjoy steamed shrimp tails and any sort of dead crustacean. Yes, they are cannibals, it is a studied and proven fact. It is recommended that meat be put into the crabitat at night and removed in the morning to discourage flies and other, unwanted scavengers from visiting the crabitat. Nuts, applesauce, raisins, trail mix, peanut butter, honey, cooked egg, cereal, crackers, washed grass, and popcorn are some of the miscellaneous favorites people have reported their crabs enjoying. Some people notice their crabs are partial to 'junk food' such a corn chips, sugary cereals and pretzels. Though they may like these foods, please exercise caution. They also will eat poop, but I'll bet you won't feed it to them! With a little practice, you can hand-feed your hermit crab. Take a piece of apple or grape and hold it in your left hand (if you're right handed). Using your right hand, coax the crab out of its shell and place the food near the crab, underneath its two pinchers. Usually the crab will do a 'taste test' first, by sticking an antenna into the food and then putting the antenna into its mouth. Patiently wait for the crab to taste the food, and then see if he uses his small claw to break off a piece of food. He passes the food to the third set of maxillipeds (mouthparts) and then on into the mouth. If a crab is not interested in eating, it will pinch the food and move it around, but not bring any food to its mouth. Set the crab down if it is not interested; land hermit crabs operate on metabolism only, and you cannot 'convince' it to eat if it is not hungry, whether it's his favorite treat or not! Your crabs will be happy and will flourish if fed a diet based on a good, preservative-free, human-grade food.